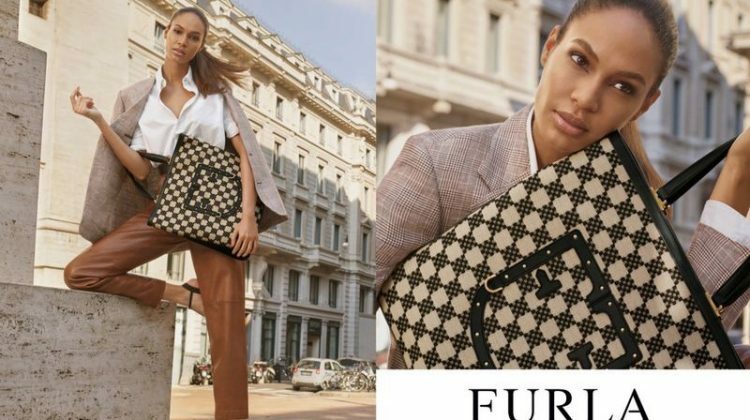 Fendi taps two notable brunette models for its spring-summer 2018 campaign. Photographed by creative director Karl Lagerfeld, models Taylor Hill and Vittoria Ceretti appear in the studio shots featuring an oval backdrop. Inspired by the collection’s tropical mood, the images focus on bold stripes, embellished bags and open shoulder dresses. Taylor and Vittoria each wear their hair in mussed updos with a dewy makeup look.